Typhoon Nalgae has brought devastation to the Philippines, killing one person and bringing fresh misery for more than a million people trapped by earlier storm floods. The storm tracked roughly the same path as Typhoon Nesat, which ravaged northern Luzon with huge floods earlier in the week. 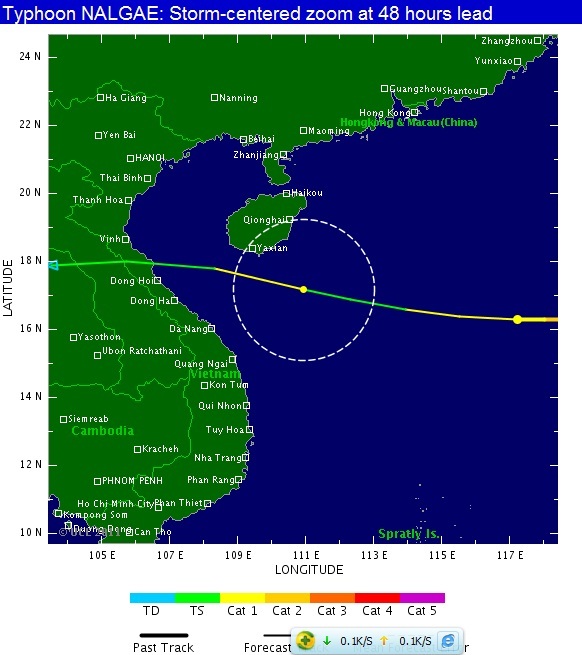 It is now expected to gather strength again over the sea as it moves towards China’s Hainan island and Vietnam.